Very good weekend for our team : 12th out of 31 at the finish in proto endurance . Once again, thanks to their consistency, Alain Giavedoni and Eric Gourmelon had success in outstriping a formidable number of faster cars than their SR3. We are looking forward to take part in the 2008 races with our SR5 and again driving for a podium position. Times achieved by the SR5 should allow us to do that…. More pictures are available by clicking on the pictures below. 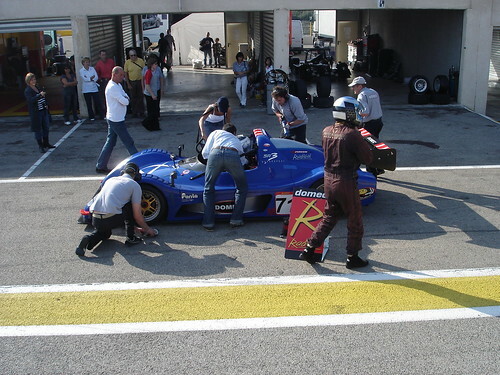 Next round of 2007 championship : Magny Cours on 26-27-28 of October.